Item # 303447 Stash Points: 5,499 (?) This is the number of points you get in The Zumiez Stash for purchasing this item. Stash points are redeemable for exclusive rewards only available to Zumiez Stash members. To redeem your points check out the rewards catalog on thestash.zumiez.com. 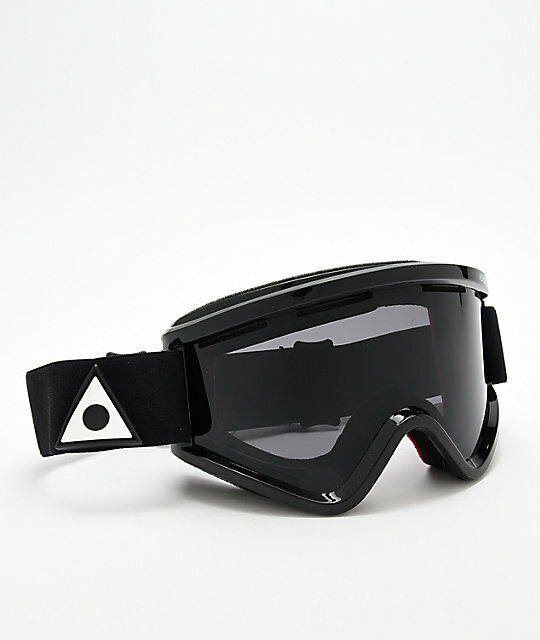 Shred right this winter in the Blackbird Black Triangle Snowboard Goggles from Ashbury Eyewear. This no-nonsense snowboard goggle features a timeless and classic frame design that comes at an excellent value. Coming with two lenses, Dark Smoke and Yellow, for a range of conditions, the Blackbird goggle from Ashbury is an easy choice to complete your winter kit. 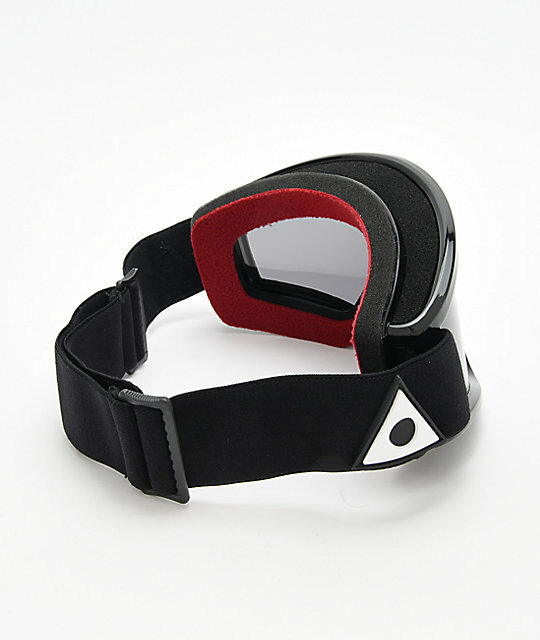 Blackbird Black Triangle Snowboard Goggles from Ashbury Eyewear. Thermoplastic polyurethane construction (TPU) is lightweight, durable & extremely flexible for an optimal fit. Size: Medium-large unisex fit & design. Silver Mirror lens: A mirrored grey tinted lens reduces glare in partly sunny to extremely bright & reflective conditions. Additional Yellow Lens: Perfect for low light, cloudy days and night riding. Cylindrical Lens: A flat, thin and flexible lens makes for clear, distortion-free vision. Anti-Scratch Treatment: A hard coating applied to the lens protects the goggles from damage. 100% UV protection to shield your eyes from harmful high-altitude UV rays. Black woven strap with triangle Ashbury branding throughout. Full perimeter venting maximizes airflow to prevent condensation from sweat & moisture. Multi-density hypoallergenic face foam backed with moisture-wicking micro-fleece for breathability & comfort. Adjustable stretch strap with texture for a secure fit.